The UF Department of Surgery celebrated it’s 12th Research Day on Wednesday, March 16. Primary Mentor: Alicia M. Mohr, M.D. Dr. Longaker joined the Stanford University School of Medicine on September 1, 2000, as Director of Children’s Surgical Research in the Department of Surgery, Division of Plastic and Reconstructive Surgery and the Lucile Salter Packard Children’s Hospital. In 2003, he was named the Deane P. and Louise Mitchell Professor. As Director of Children’s Surgical Research, Dr. Longaker has the responsibility to develop a children’s surgical research program in the broad areas of developmental biology, epithelial biology and tissue repair, and tissue engineering. Dr. Longaker is the Co- Director of the Stanford Institute of Stem Cell Biology & Regenerative Medicine, as well as the Director of the Program in Regenerative Medicine, Director of Research in the Division of Plastic and Reconstructive Surgery, and has been name Professor, by Courtesy, in the Department of Bioengineering, and Professor, by Courtesy, Department of Materials Science and Engineering. Dr. Longaker is Vice Chair of the Department of Surgery. 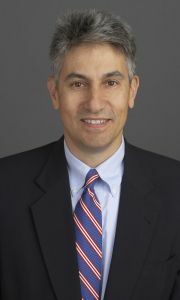 Michael Longaker’s extensive research experience includes the cellular and molecular biology of extracellular matrix with specific applications to the differences between fetal and post-natal wound healing, the biology of keloids and hypertrophic scars and the cellular and molecular events that surround distraction osteogenesis with respect to craniofacial development. Most recently, his research has focused on multipotent mesenchymal cells derived from adipose tissue and their applications for tissue repair, replacement and regeneration. He brings to Stanford his unique understanding of wound healing, fetal wound healing research, developmental biology and tissue engineering. Dr. Longaker is a member of all the major academic surgery societies and was president of both the Society of University Surgeons (2007-08) and the Plastic Surgery Research Council (2006-07). He is one of a handful of surgeons elected into the American Society for Clinical Investigation, Association of Physicians, and the prestigious Institute of Medicine of the National Academies. To date, he has over 1175 publications and numerous federal grants to support his research.